The University of Northampton was established in 2005, formerly Nene College, and previously operated from two campus to the north of the town centre—Avenue and Park. It has six academic schools—Arts, Health, Social Sciences, Business, Education and Science and Technology. The University recognised that the existing estate does not provide facilities that will ensure the University retains a competitive position in the sector in the future. 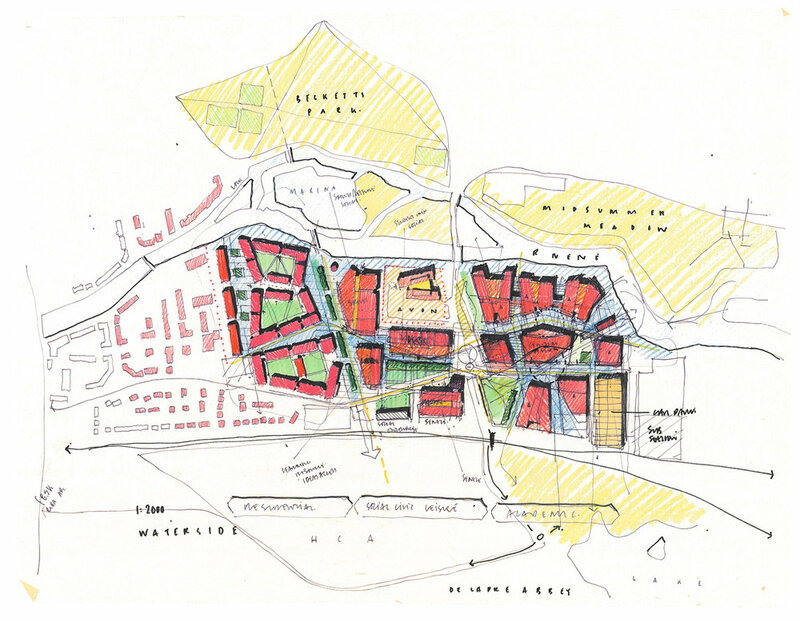 The University appointed MCW as part of a core - project team in 2011 to assess the feasibility of relocating to a new campus at Waterside close to the town centre as part of the wider Enterprise Zone within Northampton. Located on the River Nene the 24 ha brownfield site provides the opportunity to consolidate all schools and departments on a single campus bringing operational efficiencies in addition to the potential to exploit cross faculty synergies in an exciting innovative educational environment. The location also allows a substantial part of the University’s residential accommodation to be located immediately adjacent to the new academic accommodation and to support additional commercial development as part of a holistic approach to urban regeneration of the site. The location has a number of technical challenges including flood risk, traffic and service infrastructure. Following approval of the feasibility MCW were retained to develop a more detailed masterplan framework for all three campuses to provide a comprehensive estate strategy. 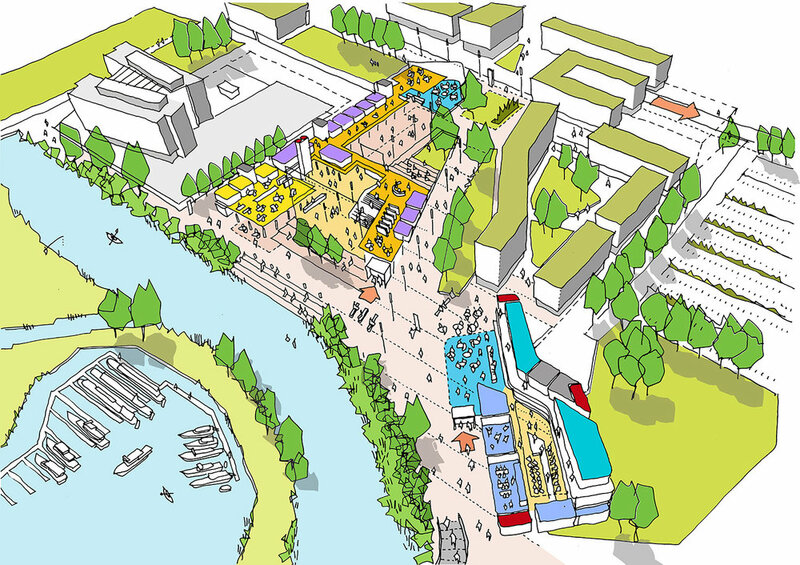 In parallel, MCW led the preparation of the University Strategic Brief that would inform the development of Waterside setting out a clear academic vision and space model. Following planning approval our work at Waterside expanded to lead the design and delivery of the 20,000sqm Learning Hub, the Sports Pavilion, a new low carbon Energy Centre and the refurbishment of the former Engine Shed into the Student Union, in addition to a new landmark pedestrian and road bridge. MCW have also been retained as the University’s Masterplan Architect to oversee the implementation of the entire campus development. Waterside opened in September 2018.